TrendForce published its predictions on the global smartphone market in 2018. According to the analysts, the growth of sales will slow down to 2.8% - manufacturers will sell 1.498 billion devices, compared to 1.458 billion in 2017. The reason behind the minuscule rise is the continuous rise of costs and fewer replacement purchases. Samsung will remain the market leader, TrendForce predicts. 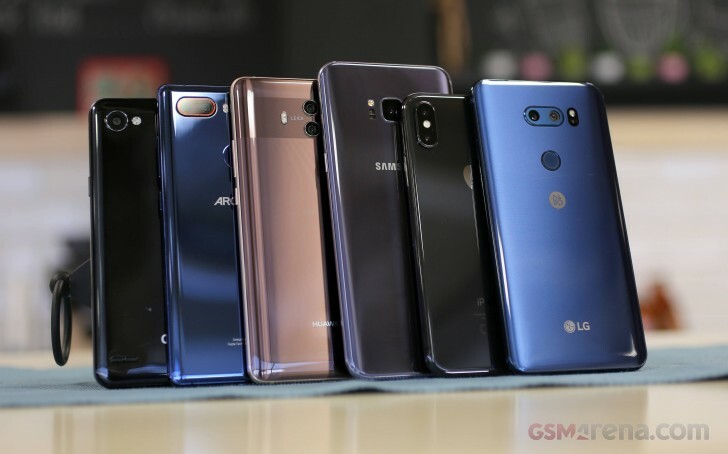 The Korean giant will rely mostly on its success with the A and J series and will ship around 300 million phones, which is a 5% decrease compared to 2017. Apple and HMD Global are two companies who are poised to grow in 2018. Cupertino is preparing three new iPhones for the second half of 2018, while Nokia phones will grow mostly due to its production lines being positioned in India, giving it an advantage in price against other low-end and mid-range players. TrendForce takes into consideration the Chinese brands that are among Top 5 companies because of the saturated domestic market. Oppo and vivo impressed with sales, but shipments are expected to go down 5%. They might be overtaken by Xiaomi which is expected to ship 107 million units. The rise might be even higher, but the young company has to deal with higher production costs and taxes in India. The analysis ends up with wrapping up the 2018 trends in specs. Most phones will stick to tall screens and dual cameras, with every manufacturer holding to its traditional security feature - Apple with FaceID, Samsung with iris recognition and others with a basic fingerprint scanner. Mass production for global devices with an under-screen sensor will not start before the second half of 2018.